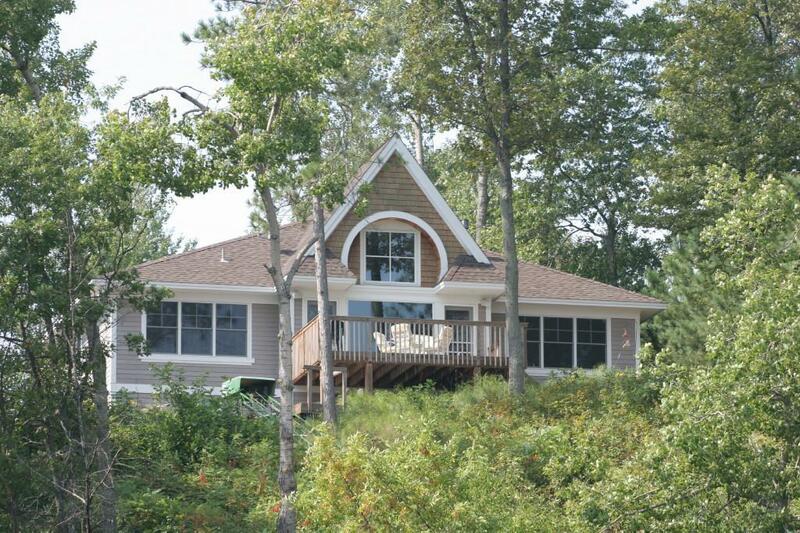 Gull Lake-Retreat to the lake & enjoy million dollar views from your lakeside deck & home. Features include 3BR 3BA & 2,326SF. Open cathedral ceiling Great rm w/FP, gourmet Kit, Din area, MBR Suite w/MBA & W/I closet, office, Guest BR wing w/2nd lakeside BR, BA & 3rd BR complete the main. Lower level offers Family rm, guest BA, lndry & finished heated garage. Landscaped grounds, hill-climber, & 100F shoreline. Close to golf, dining, shopping & trails. Home sold Furnished & Equipped!